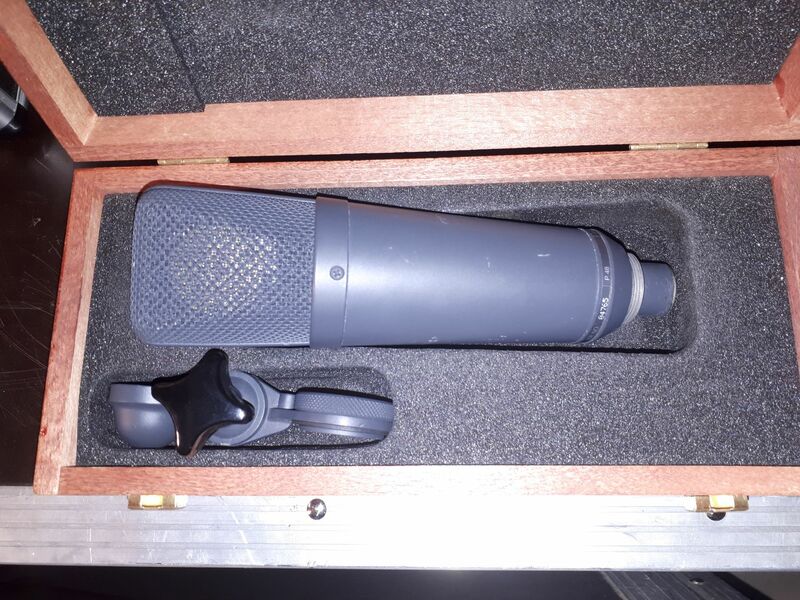 TLM 193, Large diaphragm condenser microphone from Neumann in the TLM series. 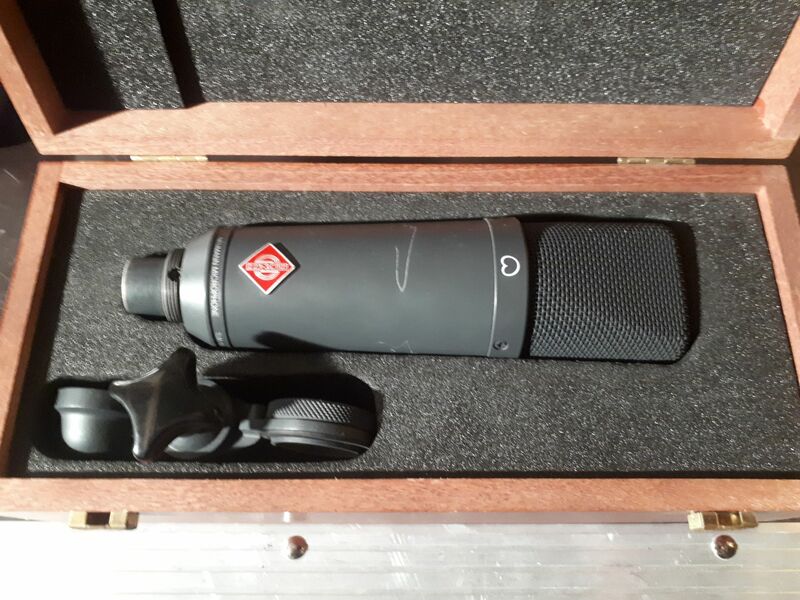 yoTrakkz's review"I wasnt too impressed"
The Neumann TLM 193 is more or less an entry level Neumann that would probably be purchased by someone who doesn't have a huge budget or a degree in physics, but wants that classic Neumann sound. So, I'll give it to you in layman terminology - straight up. I've owned one of these mics for about 4 years now, and have used it on just about every instrument under the sun (vocals too, of course) with great results. NO - you're not going to get a U87 sound from it, NO - you're not going to get a shock mount or pop filter with it (though you'll definitely need them ), YES - you're gonna have to fiddle with EQ and preamplification to get an acceptable signal out of it. You're also going to need phantom power to fire it up. The mic is extremely sensitive, like all Neumanns, and will pick up background noise with ease, so having a quiet, closed off area to record in is imperative. There are no pads or switches on the mic itself, so all of your adjustments will have to come from your preamps, EQs and recording consoles. I mention this because I can't recall ever setting the mic up and getting a great sound out of it without having to push buttons and twist knobs. Not to worry though, the TLM-193 is capable of some awesome copy once you've got it tweaked properly. It's a bit lacking in airiness, but that's easily remedied with the right equalization. I've actually heard it described as "dull sounding" - to me, dull is better than over-colored or frequency heavy - you could always touch it up to your taste with your signal processors. It's always better to have to add flavor rather than having to take it away as far as I'm concerned. 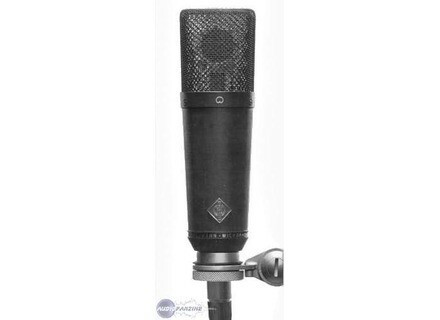 The Neumann TLM 193 is a large diaphragm microphone to be used in the studio. It has the same look at the U 87 and other large diaphragm mics, and it's one of the newer mics from Neumann as far as I know. It's got a cardioid pick up pattern and a frequency response from 20 Hz to 20 kHz. Unlike the U87, it doesn't feature a pad or a low cut filter. The Neumann TLM 193 sounds to me much like the U87, although it is a slightly different sound and definitely has it's own place in the studio. I only had a chance to use a set of these recently at a major studio. We used them as room mics. We were recording drums in the live room and I think that these mics did an awesome job of capturing that live room sound. 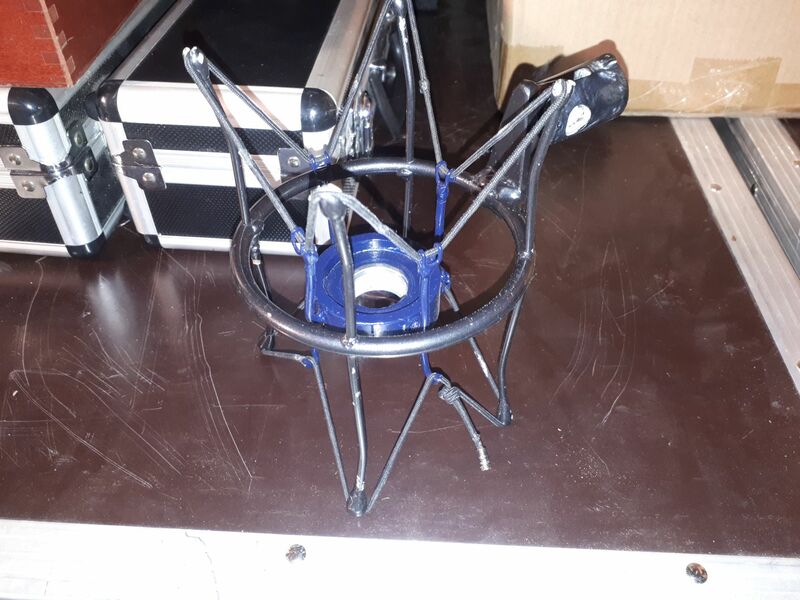 Since I don't own one of these at home and haven't seen them at any other studios, I'd definitely curious to hear how this mic sounds for vocals and other acoustic instruments. I think that you can definitely look at the TLM 193 as a poorer (still not poor) man's version of the U87. It has that crisp clear clarity and great mid and high end response to it that just reminds me of that sort of sound. I haven't had the chance to shoot the two of them out against each other, and would be curious to do so but currently don't have the means to do so. It's definitely still not a cheap microphone, but it's still a little bit less than half of the amount of a new U87. You can get even cheaper with Neumann mics like the TLM 103, but that mic doesn't have the super U87 sound to me, and while this isn't exactly there either, it's much closer to it. 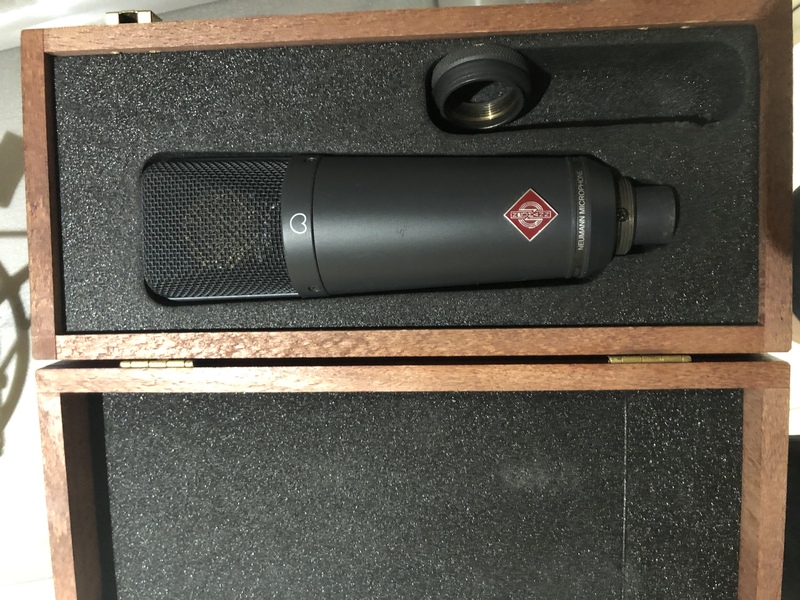 Anybody with a higher end home studio or pro studio should be aware of the Neumann TLM 193 and what it brings to the table for the price. Massimino's review (This content has been automatically translated from French)" the most pro micro "means"!" For making voice and instruments. I have since 3/4 months. I tried some kind of microphones MXL V67G, Rode k2, Neumann TLM 49 and tt1 prodipe (dynamic). Softness and a beautiful setting with the well-known Neumann grain. Probably the best in its class. Sound "dark" this mic can please or not please. Warning: This mic needs a perfect acoustic for recording voice because of its high sensitivity! That said with a good acoustic treatment I'm sure I'll get a very professional result. To the sound of acoustic instruments (violin etc.). by consquent need prampli trs low noise! Neumann amlior of the electronic microphone rsultat: an increased sensitivity lgrement etc.. The argument acoustic remain unchanged (as Neumann).